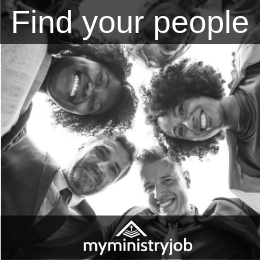 Do you ever lose volunteers from your ministry? Of course you do! It’s a natural and common occurrence. Sometimes it’s people we don’t mind losing (be honest!) and sometimes we cringe when we learn of their departure. Again, names are popping into your mind, aren’t they? 1) Never try and talk someone out of leaving…ever. This can be hard when people you love and appreciate decide it’s time to move on. I will have a conversation about the “why’s” and, if there’s an issue I can address will try and do so. However, if someone comes to me and says they feel God is leading them away, who am I to question? I have to trust that their relationship with God is such that they are correctly sensing His leading. If this is the case, I will thank and honor them, and then do everything I can to help them get reestablished in a new area of ministry. I may cringe inwardly at the gap that is left in my ministry, but time after time I’ve seen God fill that gap in ways I could never imagine. 2) Recognize that volunteers leaving can actually be a very positive thing for my team. Regardless of the stature of the person or the size of the position they fill, losing a negative, bitter or divisive volunteer (or staff!) is never a bad thing. Sometimes we change direction in our ministries and long-time volunteers can’t seem to make the change. Sometimes people become bitter (or ______________ – fill in the blank) because of life circumstances having nothing to do with ministry. Sometimes we offend individuals with our leadership style or through other issues. It’s always my responsibility as a leader to resolve issues that I can resolve, but when these people can’t be satisfied, they tend to become very disruptive. Seeing them leave might leave a “huge” gap, but they take their bitterness, anger, or disruptive attitudes with them. 3) Sometimes, my goal should actually be to prepare them to leave. As I develop leaders over a period of time, my goal should be to release them into greater ministry opportunity. Sometimes that means moving them into areas other than “my” area. Our job as leaders is to equip people to do the work of ministry and to develop leaders. Leaders naturally are capable (and desiring) of more as they grow. If I’ve got leaders who are bumping up against their leadership capacity lid, it’s my job to find new opportunities for them to fulfill their leadership capabilities. Sometimes that means sending them into other areas of the church, or moving them into a greater role within children’s ministry – leaving a big gap where they currently serve. Trust God to fill that gap. What I’ve learned is that addition by subtraction can be a very good equation for the health of my ministry. 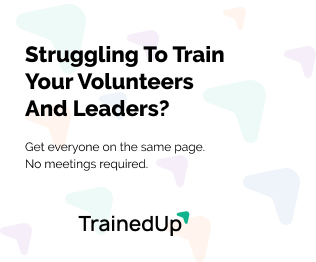 What have you learned about volunteers leaving?